With all of Arizona and a good portion of the southwestern United States currently in drought conditions, discussions are once again taking place regarding the critical need for an adequate water supply to support life in the desert. How much water is enough? Who “owns” the water? Who gets to decide? The Colorado River Basin Project Act expressed the viewpoint taken by the federal government in 1968. At that time, President Lyndon Johnson signed this bill into law bringing water from the Colorado River to central Arizona and forever altering the landscape of the area. Over the past fifty years, different perspectives on water resource management have been articulated by the tribal communities who have long called the area home. 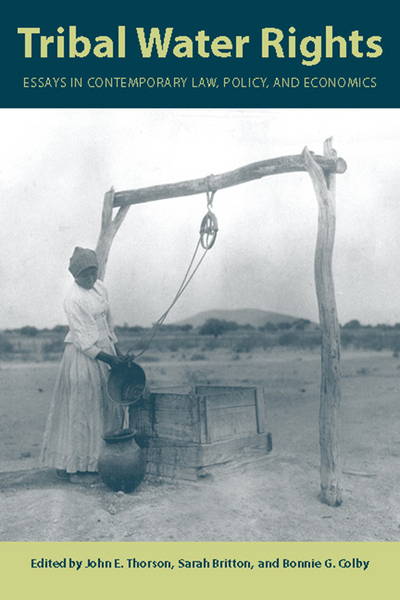 Here are four selections from the Library collection that discuss water issues in the Southwest. These examples highlighting the construction, the conflict, and the conversations are currently on display in the public reading area of the Library. Please feel free to visit the Library to review these or any other items of interest in the Library and Archives collections. For more details or additional collection information, click on the link labeled Library Catalog Search located in the pull-down menu of the Library tab on the Heard website.